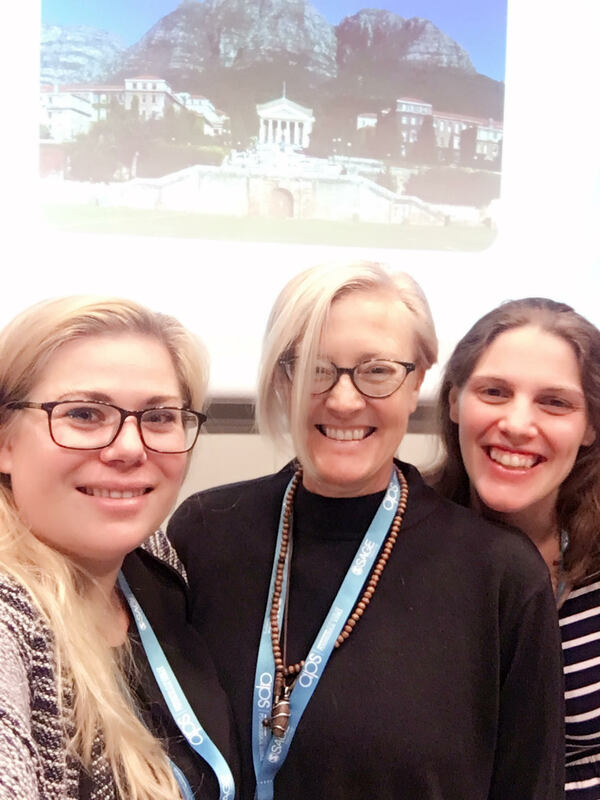 The social-emotion ACSENT group in the Department of Psychology presented a symposium on social-cognitive development in SA at the International Convention for Psychological Science in Paris, the international meeting of the Association for Psychological Science. Dr Nadine Lindinger, who is doing a post-doc at the Child Development Research Center, chaired the symposium, and presented follow-up work on her PhD findings on Theory of Mind in FASD. A/Prof. Susan Malcolm-Smith presented on early developing Theory of Mind and Self-Regulation in the Drakenstein Child Health Study birth cohort. Dr Lea-Ann Pileggi presented her PhD work on the role of empathy in aggressive behavior in SA children and adolescents. PhD student Gaironeesa Hendricks was unable to attend but co-supervisor A/Prof Malcolm-Smith presented Gaironeesa’s findings on early conversational turn-taking subsequent to Prenatal Alcohol Exposure.